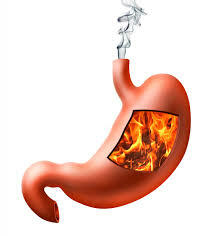 There are several heartburn causes that can cause immense suffering in people. The heartburn is also known as acid reflux or GERD. GERD is the short form for Gastro esophageal reflux disease. Many people suffer from very uncomfortable symptoms and all they want to know is what is heartburn and how to treat it? This condition can cause a burning sensation in the chest area. It can literally feel like your heart is on fire. You will feel as if the ‘fire’ moves up from the diaphragm all the way to the throat. It can also causes a bitter taste in your mouth. Usually the food that is consumed is the main culprit for triggering the heartburn. cid moves from the stomach area back up into the esophagus and eats away at its lining. Most of the time, those who suffer from the condition only have symptoms that occur occasionally. It is considered a mild case if you have the symptoms about once a month. But if it happens once a week, it is a moderate case. For those who have discomfort every day it is a severe case. Most adults will experience the uncomfortable symptoms of this condition at least one time each month. Most of the time, it can be managed successfully with some minor changes in dietary habits. Others use over the counter medications to help control the symptoms. For those with cases which are moderate over the counter medications may work well to help control symptoms. For the 5 to 15 percent of adults who suffer from severe symptoms, these remedies may not work. If you fall into that category then you may need to talk to your doctor about other remedies. What are the Most Common Heartburn Causes? There can be a lot of other different heartburn causes. It is a very individualized condition and the severity of symptoms can vary between each person. The heartburn causes for each person may be different as well. What bothers some people may not bother someone else. There are some things that are common triggers for most people. That does not mean that it will cause every single person trouble. However, if you can isolate your specific triggers then you can avoid them and hopefully alleviate symptoms. Some foods such as fried foods can work to slow digestion down and keep food in the stomach for a longer period of time. This increases the pressure in the stomach and then puts pressure on an already weakened lower esophageal sphincter (LES). Finally, this allows the stomach contents to escape back into the esophagus. The most usual culprits among all the heartburn causes are foods and drinks that contain caffeine. Caffeine relaxes the lower portions of the esophagus which allows the contents of the stomach to leak back into the esophagus. Tea, coffee and many soda drinks contain caffeine and should be avoided. The carbonation can also cause problems for some people. Real chocolate (cocoa) contains small amounts of caffeine, but it also has theobromine. This compound that is found in some plants naturally, like tea, coffee and cocoa, also relaxes the esophageal muscles. This can cause the stomach fluids to reenter the esophagus. Some foods can relax the LES too much and be major heartburn causes. Alcohol can have this effect. It also works to increase the stomach’s production of stomach acid which can make matters worse. Citrus fruits or juices can also relax the LES and cause uncomfortable symptoms. Tobacco doesn’t relax the LES like these but it does tend to weaken it as the chemicals pass from the lungs and into the blood. Sometimes the condition is caused by a hiatal hernia. But it can also be caused by certain foods or medications. Smoking can cause the condition, but it can also aggravate it. Pressure on the stomach area can cause symptoms to begin. Wearing tight clothes, lifting or being overweight can all be factors. Bending over a lot can also complicate the condition and make it worse. Stress can also be a contributing factor. You may want to know exactly what caused your acid reflux so that you can treat it effectively. There are so many habits and lifestyle issues that can cause adverse symptoms. Eating real large meals can increase the pressure on the LES and this extra pressure may increase the chance of the food or acid may get back into the esophagus. Lying down while you have a full stomach can also cause increased pressure on the LES. And even wearing real tight clothes can cause problems. When clothing is too tight it will put pressure on the abdomen and tend to put a squeeze on the stomach which adds pressure. These heartburn causes can be avoided so that symptoms will subside.